Ninja Tune asked Dubspot to put together eight tracks from current and past Dubspot students for the opportunity to have a track featured in their Ninja Jamm app. Congratulations to the winner of the contest, Mike Polarny! Congratulations to the winner of the contest, Mike Polarny! His track “Trip to Cuba” won first prize. 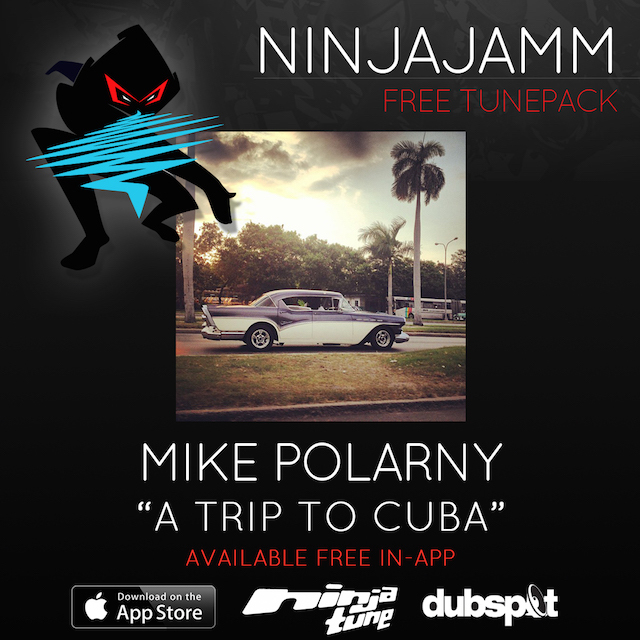 As part of his first prize, Mike got his track made into a featured Tunepack on the Ninja Jamm app, an opportunity to join the Coldcut Crew Collective, a $50 voucher for digital downloads at Ninja Tune Shop, one Dubspot course and a limited edition Dubspot T-shirt. Also congrats to our runners up who received a $25 Voucher of Digital Downloads to Ninja Tune Shop, a signed Coldcut CD/Vinyl signed by Ninja Tune founders Jon More and Matt Black, and they will join our Coldcut Production Crew. Ninja Jamm is a free jamming and remixing app from Ninja Tune and Seeper, featuring exclusive Ninja Tune tracks. Ninja Jamm asked Dubspot to put together eight tracks from current and past Dubspot students to potentially be featured in the app. Whichever track receives the most “likes” on Soundcloud will be the winner. The contest ends November 11/25 so stream the selected tracks below and click here to like and vote. - Their track made into a featured Tunepack on the Ninja Jamm app! - Opportunity to join the Coldcut crew production collective. - Limited edition Dubspot T-shirt.